Like St. Paul before him, St. Ignatius, in his capacity as Bishop of Antioch, is writing with authority against those who break off from the Church founded by Christ. An incredibly stark picture indeed and an incredible demonstration of authority which made one thing very clear to me: Bishops in the Early Church had an authority derived from Christ. What’s more, breaking from communion with that authoritative structure—striking out on one’s own and dissenting from the Church’s teachings—was expressly condemned in the strongest sense by Ignatius. Christians would work break off from the Early Church were seen to be “out of sympathy” with Christ and the authoritative structure He put in place. …the modern Roman Catholic vision of Church unity being defined by subjection to a worldwide bishop in Rome is not found in Ignatius’s writings. We saw how he described his friend Polycarp, the bishop of Smyrna as “one who has God the Father and the Lord Jesus Christ as his bishop” (To Polycarp, Salutation). He does not say that Polycarp has the bishop of Rome for his bishop nor even a regional Asian primate (i.e., a senior bishop in his area). Being a bishop, Polycarp’s bishop is God. With all that Ignatius has to say about the episcopacy and especially about unity, he had the perfect opportunity to insist on a worldwide pontificate for Rome’s bishop. Rome was certainly on his mind, since he was traveling there to be martyred as Peter and Paul had been before him. Yet in his six letters addressed to churches, it is only his letter to Rome in which he does not even mention their bishop (who was probably either St. Evaristus or St. Alexander I). In the other five letters to churches, the bishop is mentioned, and in three of them, the bishop is mentioned by name. When writing to the Roman Christians, he does mention Peter, but equally with Paul as both are apostles who could give them “orders,” while Ignatius himself would never presume to do that (Romans 4:3). In Ignatius’s writings, there is never any special role given to the Roman bishop or the Roman church, nor even to the Apostle Peter. He does mention this new vacancy in the Antiochian episcopacy to the Romans, but he says that it now “has God for its shepherd instead of me. Only Jesus Christ will be its bishop—and your love” (Romans 9:1). This absence of support in Ignatius for the modern papacy does not itself constitute a full argument against papal supremacy (since, as I believe, Ignatius had no need to argue against any such thing). But it is at least a worthwhile data point in considering whether that dogma of the Roman Catholic Church finds support in the early Church. Bearing God isn’t a work of apologetics (it’s a reading of Ignatius’s letters with an eye toward how they apply to us), but I did think this issue was worth a few paragraphs. I’m a little mystified as to how this fellow read what he did and came away deciding to be a Roman Catholic. It seems that, for him, talk about bishops, schism, heresy and the Eucharist was only associated with Rome. The Orthodox do have a few things to say about that stuff, too. He simply leaves the presence of Orthodox bishops and saints (which includes St. Ignatius) untouched. My guess (based on this article of his) is that he may just be ignorant of Orthodoxy. That said, how one gets the papacy out of St. Ignatius is a bit of a mystery to me. Bishops, sure. But a single worldwide supreme bishop headquartered in Rome? It’s just not in there. How does he get St. Paul as bishop of Antioch? I think that “Like St. Paul before him” is intended to describe Ignatius’s actions rather than his office. None of the men in the list Acts 13:1 were Bishops. Would you mind connecting the dots here for us? Its funny that as a young Roman Catholic i read the Epistles of St Ignatius and it lead me to the Orthodox Church. So then, he intended for all of these many break offs? The thousands? At what point does the loose coalition end, and a myriad of splinter groups begin? It would seem that the Patriarch of the West can answer that best, seeing as the West has had the most break offs in the thousands. At what point does the centralized monolith end, and a myriad of splinter groups begin? (1) Who is a bishop? So one could use Ignatius to try and justify a schism, but we know that this would be to no avail. Later documentary evidence would prove to Catholic interpreters that communion with Rome was especially necessary for the mark of Catholicity. The primacy of the Bishop of Rome as the “first among equals” was really a non-issue until the institution of Charlemagne as a new Roman emperor in the 9th century. This was a time of great division in the Church. Rome and Byzantium were at odds theologically and missiologically. 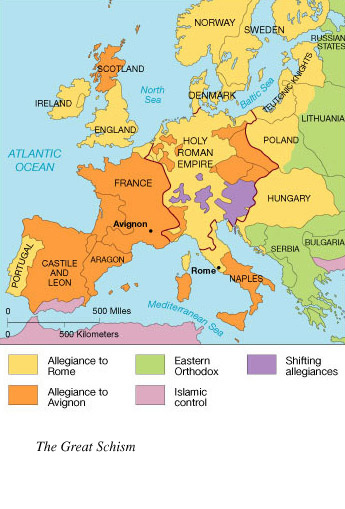 Charlemagne expanded the Roman realm in the West, while the likes of Cyril and Methodius pushed the Church’s mission to the Slavs until it all culminated in the events of 1054. To suggest that the primacy of Rome was present in the theology of Ignatius is a stretch. Manoussakis, John Panteleimon (2015-03-04). For the Unity of All: Contributions to the Theological Dialogue between East and West (Kindle Locations 815-822, 833-836, 883-892, 912-916). Cascade Books, an Imprint of Wipf and Stock Publishers. Kindle Edition. If I’m reading Fr. John and others correctly, this sounds like a modified version of “the modern Roman Catholic vision of Church unity being defined by subjection to a worldwide bishop”. If we to belong to the Church, according to this paradigm, one must be in communion with his local bishop, metropolitan and most importantly with the universal primus. Ecumenical Patriarch Bartholomew (a person and not even the office), therefore, is the guarantor of Orthodox unity. This definitely runs counter, or is at least out of balance, to popular taught and held Orthodox ecclesiology. What is your opinion of a single person (primus) as the highest authority and expression of unity in the Church? I have no problem with primacy, even a primacy with a certain authority. The problem is when it is absolutized such that communion with one man is a necessary element of catholicity. The Orthodox refuse Rome’s absolutization of that primacy (among other reasons) because of people like Honorius, Pope of Rome. We should likewise refuse it because of people like Nestorius, Patriarch of Constantinople. Correct me if I am wrong with understanding your point of view in this post above. 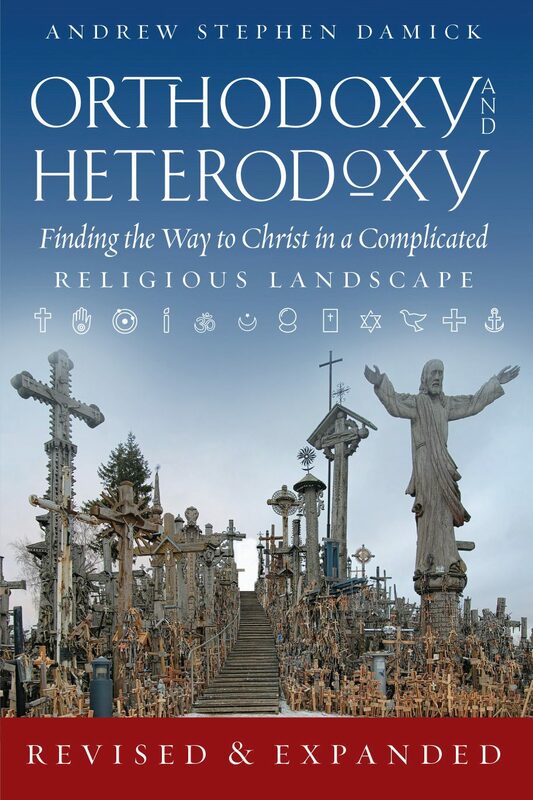 What would be X in the above for the Orthodox Churches? In other words, what have the Orthodox absolutized? We don’t function that way. Catholicity is dependent upon keeping the wholeness (katholikos) of Orthodox life and faith. There is no single, sufficient criterion. But surely, if the equation I drew above, which was drawn from your own statement above (please, let me know if I’ve misunderstood you), is correct, then there might not be 1 thing which is absolutized, but there must be a sum of 2 or more things. If this is denied, then it would appear that you are saying the the Orthodox do not have to do anything to be in communion with the Katholikos. But your equation wasn’t actually drawn from what I said. My statement was a criticism of absolutization, not an endorsement of substituting one absolute for another. Also, I wasn’t using “katholikos” as an object. It’s simply the Greek basis for “catholic,” which is about wholeness, not about a single, sufficient criterion. Catholicity isn’t the result of a “sum” of anything. Ok, so I will withdraw the use of the equation. What then must human beings be in order to be in full communion with the one true Church? Look, if your looking for an exhaustive list, there isn’t one. It’s life, not math. Faith in the Holy Trinity, the Cross and One Holy Church in Christ, communion with an “assured” or “valid” bishop in Apostolic Succesion, communion with the Saints in the Orthodox faith, participation in the Mysteries, love of the brethren, love of truth, deeds of repentance, etc, etc, etc, etc. This recent emphasis on a primus is vexing. Who was the primus that guaranteed the Apostolic Council in Acts? The Apostles said “The Holy Spirit and us” about themselves in council, not the Holy Spirit and the Primus. I also want to know just find it really strange. The Catholic Church does not compare the absolute criteria for communion with the Church with mathematics. Our Lord Jesus made something absolute when he said “Whoever believes and is baptized will be saved” (Mark 16). Entrance into the Church via baptism, is necessary per Jesus Christ our Lord. Not every thing that has a *must* in it should be compared with the obsession with the rational methodology of the West. Who said any of that? I was responding to your comments. You were, in any event, the one who introduced mathematical language, speaking of sums, etc. If I understand your argument correctly, then I think that you misunderstood part of what Fr. Andrew was saying. a) Every item on the list is clear, transparent, and easily identifiable. b) Anyone who meets all the items on the list counts as believing. c) Anyone who does not meet all the items on this does not count as believing. I think that Fr. Andrew is leaving open the possibility that we could say that certain things are necessary and/or sufficient. These claims would provide some further clarity. However, they would not get us to the level of sharp clarity that we would get from the kind of checklist that I describe. Some of the terms will make things clear, but still leave us with a good number of cases where we can not easily tell if the criteria have been met. Anyhow, I agree that St. Ignatius cannot be used as a piece of pro-Papal apologetics. I wonder if the author of the article has ever come across the 34th apostolic canon. Maybe that’s all it would take for him to convert to Orthodoxy! If I were to come into Orthodoxy, it would be because of Eucharistic theology, and Asceticism. Right now, in Rome, the fact that there’s even an idea among “bishops” and “priests” that sodomites and adulterers should be allowed to communion infuriates me. I don’t know anything about St. Ignatius or St. Polycarp; in fact, it may very well be that anyone who quotes them might either misinterpret, misunderstood, or forged whatever they said in the same way some Orthodox people like to accuse any apology for the Papacy taken from patristic sources as either “mistranslated from the Greek” or “Forged for underhanded political reasons.” So I cannot rely on the Church Fathers solely in order to believe in Our Lord and His Church, whichever, Orthodox or Catholic, she may be, but on Christ, and a tangible witness to Him. I am so, so, so tired of internet debates and reading Patristics, because I feel they don’t take me anywhere. I am a former Roman Catholic, now Orthodox Christian, who came into the Church because of this very issue. Having a very traditionalist background forced me to look deeper into history to try and figure out how the modern crisis in the RCC could possibly have happened. have absolutely no support in the life of the Church for the first many centuries of Her existence. How the RCC went from Matt 16:18 to the dogmatic proclamations of Vatican I in 1870 is astounding. The threefold papal claim; i.e., universal jurisdiction, supremacy, and infallibility, is something that developed slowly over the course of many centuries, with its beginnings in the mid-9th century and reaching full fruition in the Great Schism of 1054. In essence, Rome’s drift away from communion with Orthodoxy happened very gradually and in several stages, reaching its apex in the 15th century, right before the Protestant Reformation, which was a direct result of the abuses, both political and spiritual, of the Roman Papacy. The papacy entered into a state of decline after the Reformation, but, due to maintaining an anti-Reformationist mindset, never corrected itself or returned to what it had been during the First Millennium of the Undivided Catholic Church. People may not realize it, but beliefs, no matter how nuanced, can have profound effects on how things turn out. Having said that, this explains why Roman Catholicism is in such an abysmal state of affairs. In essence, the “crisis of faith” that severely afflicts the Roman Catholic Church from within can be traced back to the developments concerning the Roman Papacy and the effects that this has had upon the episcopacy and ecclesiology.